Paul Pogba was benched for Man Utd’s draw with Arsenal on Wednesday night, and he didn’t want to say too much after the game, it’s been reported. The 25-year-old was introduced for the last 15 minutes of the clash with the Gunners, while he was also benched for the recent Champions League meeting with Young Boys. On top of that, he was replaced early in the goalless draw with Crystal Palace, as he has failed to register either a goal or an assist in a Premier League outing since the win over Everton on October 28. In turn, it could be argued that Jose Mourinho made the right call to drop him if he isn’t performing at the level expected of him. On the other hand, he remains one of his best players on paper, and so perhaps showing more faith in him to help build his confidence is a better strategy. 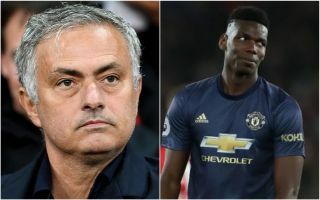 Either way, it doesn’t sound as though Pogba is particularly impressed with the whole situation, as noted by what he said and did after the game against Arsenal in midweek. ‘What do you expect me to say?’ it’s claimed he asked a reporter before making his exit from Old Trafford, as noted by the Daily Mail. It remains to be seen if he starts against Fulham on Saturday afternoon, but if he is left on the bench again, then it will certainly raise question marks over whether or not Mourinho sees him as a key figure in his plans moving forward. As noted by Calciomercato, Juventus have an ambitious transfer plan which includes taking Pogba back to Turin. Should the Frenchman continue to be left out at Old Trafford and fails to showcase his best form, perhaps an exit will become increasingly likely in the summer. A January exit would surely make little sense as United would have to find a capable replacement, and so there is still time for the situation to possibly improve, or perhaps even worsen before the end of the season.